The most common systemic signs are of those of upper respiratory tract infection (runny nose/eyes, sneezing, etc). It is spread by direct contact and fomites, and a sneeze will carry infective virus approximately 4 feet! Lifelong latency develops after the initial, typically self-limiting infection in about 80% of cats. Viral shedding is brought on by stress in about 50% of latently infected cats and can occur even without any active clinical signs. The most common ophthalmic sign of infection is conjunctivitis (swelling). Other ophthalmic signs can include keratitis (inflammation in the cornea) and corneal ulceration due to the direct cytopathic effect on epithelial cells. 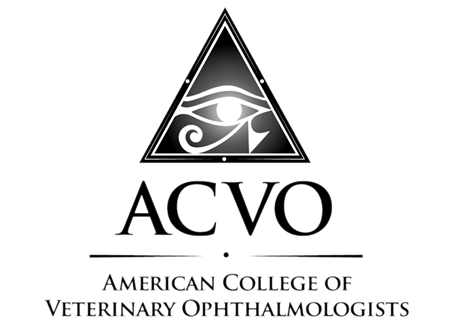 There are a number of other ocular abnormalities that have been potentially associated with herpesvirus infection, such as symblepharon, corneal sequestrum, entropion, Keratoconjunctivitis sicca, eosinophilic keratoconjunctivitis, and even uveitis. Treatment is dependent upon clinical signs in each specific patient. Decreasing any source of stress at home is critical (e.g. access to litterboxes, new animals in the household, prolonged or frequent absence from the home, other illness, etc.). Corneal ulceration must be treated with antibiotics to prevent or resolve secondary bacterial infection. Does lysine help? Contrary to previous reports, more recent studies evaluating the effects of lysine supplementation on viral replication have not detected a significant benefit when L-lysine is administered to FHV-1 infected cats. In one study, disease severity and detection of FHV-1 DNA even increased in cats supplemented with lysine. Significant changes in tear film quality and quantity have been documented in cats infected with FHV-1 in addition to conjunctivitis and corneal ulcers. These findings indicate that FHV-1 causes qualitative tear film abnormalities that may contribute to ocular discomfort, prolonged healing of ulcers, and persistent inflammation. Topical preservative-free mucinomimetics such as sodium hyaluronate or 1-2% methycellulose may provide comfort and ease conjunctival inflammation until normal tear production is restored. A topical and/or antiviral medication may be administered to speed recovery. All available antivirals act to slow or halt viral replication, but there is no medication that kills the virus. Only selected antivirals can be used in cats due to concerns for toxic side effects of certain medications. Most treatments need to be continued at least 1 week past resolution of clinical signs to prevent immediate recurrence. Because FHV-1 is a lifelong infection that cannot be cured, many cats will suffer from recurrent infections and require additional rounds of therapy. Our goal with these patients is swift resolution to return the cat to comfort, with emphasis on decreasing stress in the cat’s life. It can be a frustrating disease to treat, but cats can live long, happy lives with appropriate therapy.